I picked up Driver: San Francisco for my kids. They caught wind of it somewhere and wanted to give it a try. I do remember playing the very first “Driver” game and thought they might dig it based on my past experience…what kid doesn’t like fast driving games? I had no real interest in trying the game and when I saw my son leap (like Sam Beckett) out of his car and into another one actually becoming that driver, I thought the franchise lost it. 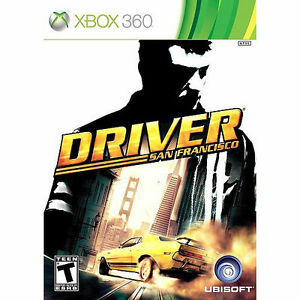 Driver: San Francisco was nothing like I remember the old classic from 1999. Then, I decided to give it a try and I realized the leaping from car to car was not only innovative, but integral to the story line…though it is silly, it worked. Let me tell you about it.